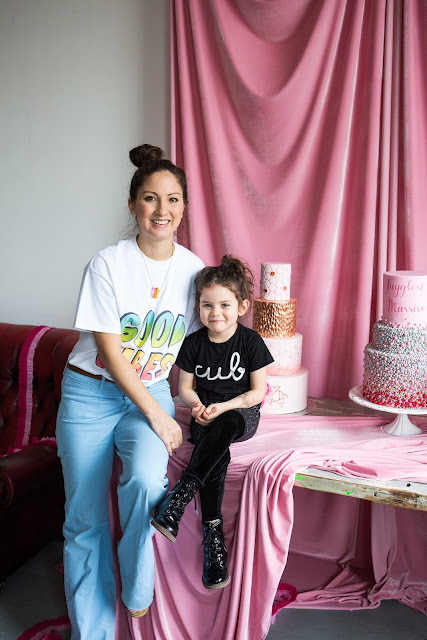 Something that has struck us over the years at A Most CuriousWedding Fair is just how many inspirational and amazing girl-bosses there are out there in the wedding industry who are also mothers. As the ones who actually create the babies—something we can’t delegate—we can have it all, but part of that is actually having to do it all too! It can be a drag. But there is something undeniably awe inspiring in it: a tribe of women managing to make self-employed magic crammed into nap times and creating enterprises while cutting the crusts off sandwiches; growing businesses at the same time as they grow tiny and excellent humans. Becky Hoh-Hale, Founder, with Bella, 5 and another one on the way! In the Most Curious family of exhibitors we are lucky to have seen so many dynamic women build amazing businesses. From stroking their bumps at the shows, setting up with their newborns in slings, taking bookings with toddlers running around, tired looking dads holding their hands while mumma does her thing, and bored tweens waiting to move on to the next part of their weekend—we’ve seen it all. We’ve followed their journeys into sleepless nights and seen the blind panic when they can’t be at the scene while they feed their babies. We’ve seen the classic outfit embellishment of spit up and sick, admired the brave faces put on whilst not feeling like a girl-boss at all, seen the work days modeled around the school runs (god forbid any extracurricular activities), and felt solidary with every email received starting ‘just quickly while Alfie is asleep’ and ending ‘gotta go because Betsy has just pooed on the carpet’. All the while, watching childless up-starts happily doing their thing on social media and loving seeing them again the next year still going strong. 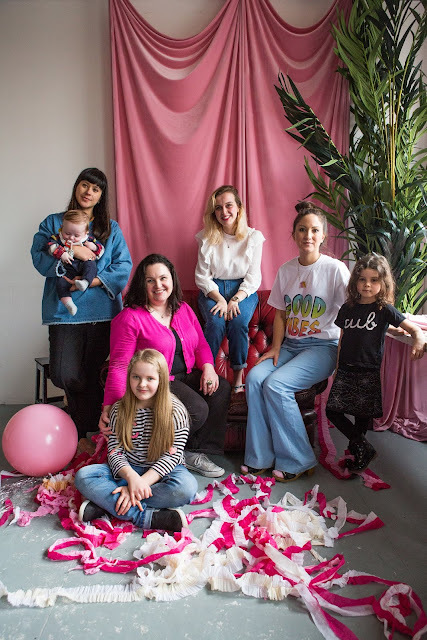 Not only exhibitors, but The Most Curious team are also in this gang of working mummas; a gang that we want to celebrate, salute and take a moment to pat on the back, and tell they are doing a great job. We present to you: The Jugglist Massive! To celebrate all of the women (and men!) 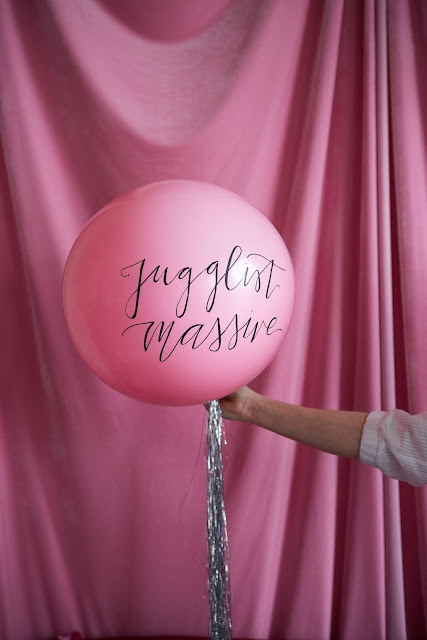 juggling running their own wedding business and being parents, we’re kicking off the Jugglist Massive campaign with one of the biggest and best pro-Jugglist supporters out there - Love My Dress. 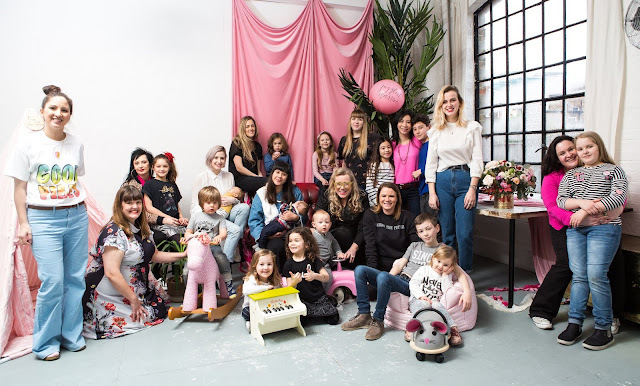 Along with this photoshoot by our London Show Sponsor Matilda Delves (who defied all the odds and created some cool pics with 12 frazzled women and 15 sugared up children) we’ll be running a blog series of interviews with the Most Curious team and exhibitors on the highs, the lows, the whys and the hows! We’re definitely all on this journey together, so tag your multi-tasking mumma pics and let us know you’re juggling with the hashtag #jugglistmassive – we’ll share your images, your struggle and your excitement. Keep going Jugglist Massive, the juggle is real and you’re smashing it! 1. Becky Hoh-Hale, Founder of Most Curious, Mum to Bella, 5, and expecting number 2 in August this year. 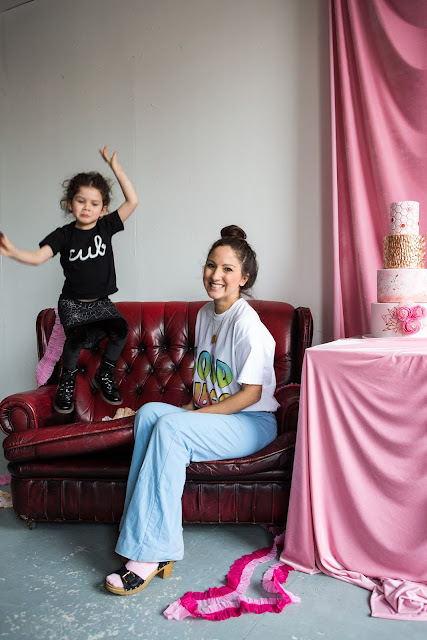 What do you feel the challenges are of running your own wedding business alongside motherhood? Your business is your baby, and your baby is your baby too! Your life is the office and your life is constant motherhood, you can not switch off from either. Both are demanding 24/7, you can’t shut the door on either or forget about it till you arrive at the office again the next day. But also what are the positives? Although it doesn’t always feel like it, you do have flexibility. You don’t have someone else asking why you were five minutes late because Bella wouldn’t put her shoes on or need to finish five minutes (two hours early) because she has a temperature and you have to pick her up early from nursery. I can be there to hear about her day as comes out of school and give her a kiss as she skips into class. And there’s the afternoons you can decide to just go out to the park and blow the cobwebs away and reconnect, (although you’re maybe looking at your smartphone)—it doesn’t have to all be crammed into the weekend. How on earth do you make it work? It is 100% easier now Bella is at school. I have a set block of time I know I can work, set up appointments, phone calls, get a bit of head space and not have to feel the guilt of working while I’m with her, or the guilt of not getting back to emails as I am spending time with my daughter. So in all honestly, although there is never enough time when it’s your own business, it’s quite easy now. My husband is great as well and is understanding and takes her out for a few hours, or just let’s me have a bit of space to get a hold of to-do list at the weekend, so I can be more ‘present’ when we are all together. I really really struggled for a long time with the juggle, between ages one and three especially. I did my first wedding fair when she was seven weeks old and have been building the show ever since, so it’s almost like I’ve developed both of them together! And they both probably suffered a little because of it, if I listen to the guilt monster. And those early years, with both a toddler and a business, are the hardest, giving everything and not getting much back, in both cases! Both things are finally giving a lot of joy back now, luckily! I do think I may have had some delayed post natal depression when she was around 2. 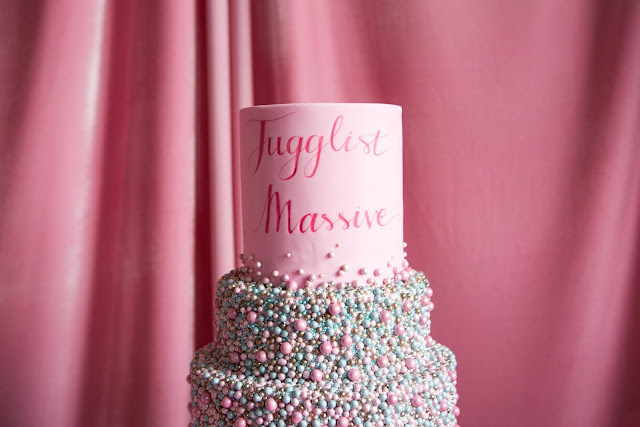 It was so hard, feeling like everyone else had set times when they were at work and set times when they were a mum, and I thought it was just me that I knew that was struggling: finding both things hard, not being able to go and sit in cafes and eat cake with other new mums because I was tied to being at home, needing to frantically get as much done as possible in her nap times, rather than just stroll around while she was in the buggy. But in fact, it was just me that I knew running my own business, that was the difference. So it is hard. Errm... Remind me why I’m going to be starting all over again with a new born?! Describe a day in the life of you and your business: So nowadays, it’s get up, school run and be back by 9.15am and deal with urgent emails and tasks, then work, work, work, through the to-do list and go and pick Bella up at 3pm. Then we usually just hang around at home as the weather’s not great (try and go to the park right next to her school after pick up in Spring and summer), but at the moment, she plays or draws or OF COURSE watches Netflix, I’m not going to lie! There I fit in an extra hour of work, before getting dinner ready, my husband comes home and we eat and then bath, stories and bed for Bella. And then I just try and chill with my husband for a bit or do some work on the laptop at busy times. But I do try to not do anything past 10pm otherwise I have trouble sleeping. What have you learnt the hard way since having your children and running a business simultaneously? There are things you have to say no to. And it’s actually very liberating. Value your work and value your time not working, so if that means saying no to unpaid projects, or something that doesn’t sit completely right with you or your brand, then let it go. It does not mean nobody will ask you to do anything again. Also, that having children is not just like having a room mate that you can hang out with when you feel like it (as I once mistakenly was under the impression) it’s a 24/7 type of gig. And ultimately, life is more important than work. Let us know your most stressed out/most Jugglist/most frustrating/most challenging moment so far? Being in charge of PR for Most Curious, I often have to be interviewed on the phone quite a lot. Phone conversations are THE WORST with kids in the background, because your nerves are in shreds…hoping they don’t start whining, start choking, hurt or wet themselves. Or, in my most Jugglist moment, actually poo themselves while you are doing a Radio interview live on air. 2. Cat Brennan, Exhibitor Liaison (fancy) and general right hand lady at Most Curious, mum to Sophie, 9. When did you set up the Business? : I actually never took the very brave leap to set up my own business, although I am self employed. I started working for Most Curious in 2013 and my involvement has grown since then. 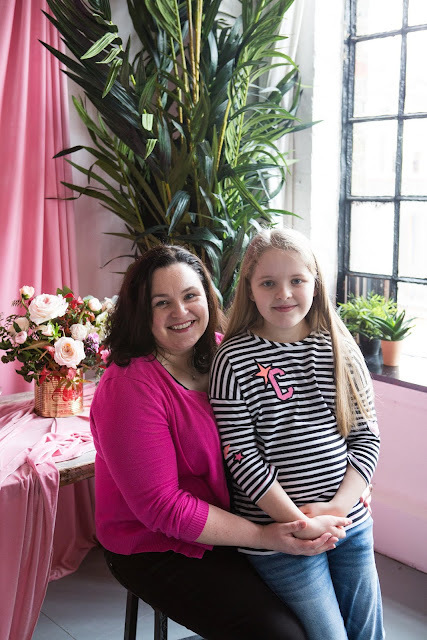 What do you feel the challenges are of running your own wedding business alongside motherhood? I think the combination of work and being a mum, whether you go out to work for somebody else or run your own business, is a challenge. 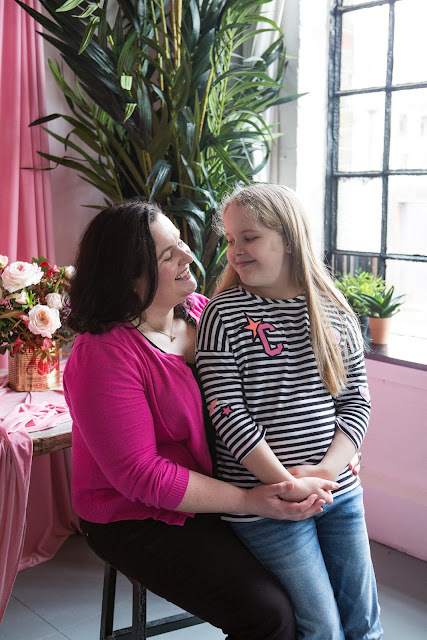 Although I don't run my own business, I feel very lucky to help Becky run hers, a business that I am incredibly passionate about and very proud to be a part of. The core team is small and the biggest challenge for me personally is time management. I think inevitably when you run your own business, or are self employed, you are almost definitely going to put in an awful lot more hours when compared to your average 9 to 5 job, especially in the early years. There is no finishing time really, you can't just clock off at 5pm and leave it behind, and so other areas of your life, such as family, can become neglected at times. I do occasionally miss the simplicity of an office job and being able to switch off completely once work is over, but I actually wouldn't trade it now if I could, because doing a job that you are passionate about ultimately really is the best thing you can do. But also what are the positives? Again, it's time management and the wonderful freedom of being able to work to my own schedule. I can drop Sophie off, and pick her up, from school, I can take her to appointments, if I need to do something in the morning I can do it and catch up with work later. I enjoy the feeling of autonomy and independence that you so rarely feel when working for bigger companies. Ultimately I think the reward of doing something you are truly passionate about, even if it does mean longer hours, really is worth it. How on earth do you make it work? Routine!!! Very boring I know but it's so important, not just for work but for life in general. Delegate! If at all possible ask for help and don't take on too much. Because we work as a team at Most Curious we are lucky because we can turn to each other if it's all getting too much and can all pitch in if necessary. We are all ready to help out if possible, if someone else needs a hand. That team dynamic, the feeling that we've got each other's back, does make working for Most Curious that extra bit special. Take a day off! Sometimes, when it's all feeling like too much you need to literally step away, shut the laptop and just take a day off. It's amazing how much it can recharge your batteries and refresh your mind, leaving you raring to go when you do step back into the 'office'. Yoga!!! Discovering Ashtanga Yoga last year (thanks Orla and Lisa!) and the benefit of regular (and in particular early morning) practice has been a total game changer for me, it's improved my life immeasurably! Describe a day in the life of you and your business: Nearly all of it is spent in front of my laptop! A large amount of time is spent replying to emails but I guess that's the trade off when you don't work together in an office. I usually work from 9.30am to 2.30pm Monday to Friday, then often catch up with other stuff like admin at weekends when my inbox is quiet! I work best at night usually, I have always been a night owl. I am trying to change this though as the world isn't designed for night owls, I have to be up every morning and late nights, plus morning starts, just don't work! I leave to pick Sophie up from school at 2.30pm so between then and around 7pm I am usually busy with her, homework, tidying and getting dinner ready. I'm often popping back and forth to check or reply to emails though during that time, and often work for another couple of hours at night, but try to avoid this if at all possible. Let us know your most stressed out/most jugglist/most frustrating/most challenging moment so far? Well, I think a real low point for me was last year, about a week before the show, when I really was just feeling totally overwhelmed! The Sunday night before the Show I remember I couldn't sleep so sat up working till the wee hours, and then just continued on through Monday, slightly zombified at this stage, having the odd bout of crying as I continued to work! It wasn't just work related, I was taking care of my Dad who was recovering from cancer treatment and also trying to study for a part time degree, plus I'm a single parent, so it all got a bit much! This taught me how important it is to try to maintain a healthy work/life balance. I have had to think about, and be very clear about, what I can and can't manage, and so, for example, I have put my degree on hold for now. Do you think there is enough support for mothers running their own business? I don't think there is enough support for mothers, and working parents, in general, whether you are going out to work or running your own business. I mean things aren't as bad as they are in the US where there is no paid parental leave but I personally love the Swedish attitude to parenting and work, and also work in general. In Sweden, workers are entitled to 16 months parental leave, at a minimum pay of 80% of their normal wage. Fathers also have to take at least 2 of these months, thus encouraging a more equal share of parenting between partners. Also, in general the Swedish seem to understand that there is an awful lot more to life than work and they take the time to enjoy life with their family and friends. I used to work for a Swedish company in London and during the Summer months we used to joke that there was nobody in the Swedish office, because people really did take long breaks and go on holiday with their families. Do you find the industry supportive? Yes, very and this is one thing that I love about working for Most Curious in particular, that wonderful feeling of support from all the amazing people I have come to know through this industry. You are all inspiring, working so hard to make your dreams a reality, it's such a privilege to watch businesses grow and succeed and see how much hard work and passion goes into what people are doing. 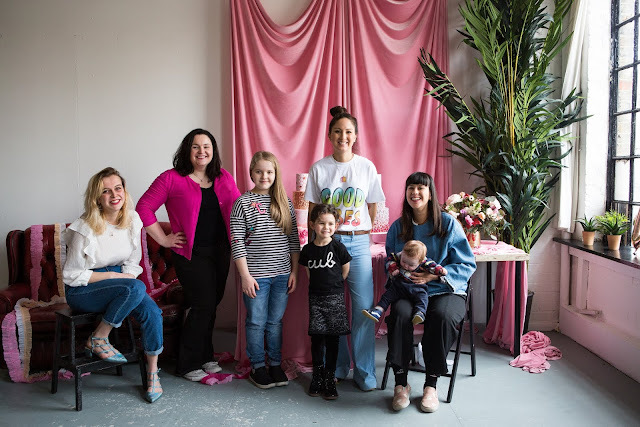 Click HERE to read Part 2 featuring the other half of AMCWF - the wonderful Ann-Marie of AM Faulkner Bridal, the lovely Penny Baldry of the Little Lending Company, and our own AMCWF baby of sorts, Ellie Kime.